Alexis Patterson’s paper researches equity in groupwork in the science classroom by looking at micro-interactions. She points to the key features of student voice, student visibility and student authority while addressing the teachers’ role in creating a more equitable and productive talk in science classrooms. This forum paper aims at continuing the conversation started by Patterson by examining the role that linguistic and cultural diversity plays in classroom interaction. Previous research points to the need for more equitable interactions in groupwork for improved science learning, especially for students who have been historically in the margins of science. In Europe, more concretely in Luxembourg, culturally and linguistically diverse (CLD) students find themselves often in this marginal position. By the time CLD students are 15 years old, they lag, on average, 2 years behind their peers in science. Many of them come from lower socioeconomic and/or immigrant backgrounds and speak other language(s) at home than the school languages. To address this issue, participatory approaches in the science classroom have been proven especially beneficial for CLD students, especially when working in small groups. Also, the recognition of home languages and cultures improves the sense of belonging of the CLD students, with a positive influence in their school performance. In the Luxembourgish context, which is culturally and linguistically very diverse, there is also a need to pay attention to groupwork interactions, as presented by Patterson. Groupwork in this context is characterized also by the diverse use of the linguistic and identity repertoires of the students, notably by translanguaging or the use of lexical and syntactical items from more than one language. Recent OECD reports recommend that teachers should be better prepared and supported to deal with diversity in their classrooms, with beneficial effects for not only CLD students, but also for all the students thanks to a teaching approach that caters for individual needs. The preparation to deal with translanguaging in groupwork in the science classroom under a wider framework on identity affirmation adds a needed feature to the current teacher training and continues the conversation started by Patterson’s work. Lead Editors: A. J. Rodriguez and B. Fortney. 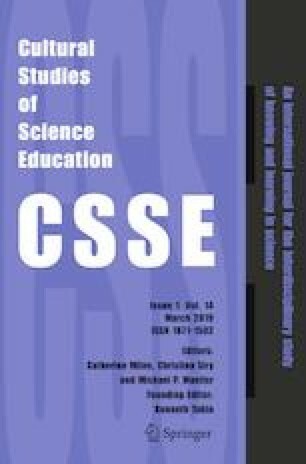 This review essay addresses issues raised in Alexis Patterson’s paper entitled: Equity in groupwork: The social process of creating justice in a science classroom (doi: https://doi.org/10.1007/s11422-019-09918-x). This manuscript is part of the special issue Equity in Science Teacher Education: Toward an Expanded Definition, guest edited by Brian Fortney, Deb Morrison, Alberto J. Rodriguez, and Bhaskar Upadhyay.